Watchlotto is committed to being a fully complient prize compeition for all our users. All our draws are independently judged and verified by an expert panel of ex-pros or leading industry experts in football. We hope you enjoy the Competition with the knowledge that we don’t hide anything from you. We will let you know how you perform each draw, allowing you to get better and increase your chances for next time! 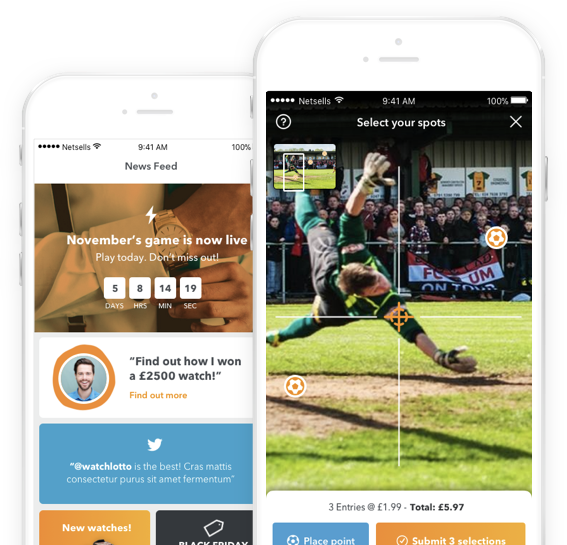 The Watchlotto app allows you to play when you want, wherever you are — whether that’s on the sofa at you or your mate’s house, on the bus into uni, or during half-time at a footy match, you won’t be able to resist. And when you’re not playing the game, you can keep up-to-date with the latest draw and features watches.